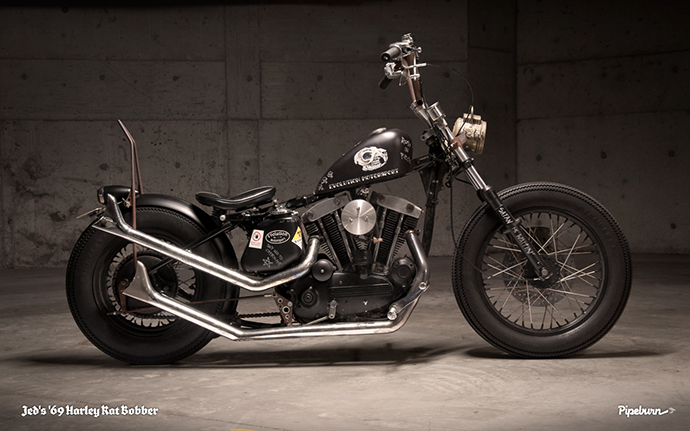 Ever since we featured Jed’s Harley here on Pipeburn we’ve had quite a few requests from you guys via email. Some were asking specific questions about how Jed built the bike. Others were inquiring about Jed’s hand in marriage; some of them were even from women. 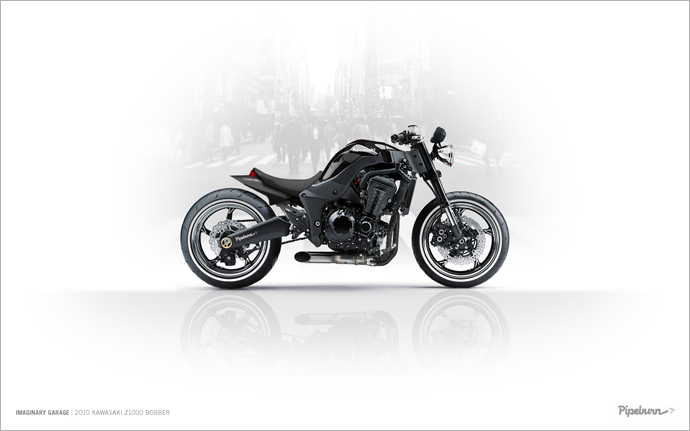 But a large majority were asking for larger images of the bike to decorate their desktops with. Well, ask and ye shall freakin’ receive. After much sweating over a hot Apple, I’d like to unveil the inaugural set of official Pipeburn Wallapers. That’s right, I said set. Big, glossy, mega-pixel beauties of not only the Harley, but also the bikes from the first and second Imaginary Garage posts. All here for your downloading plee-zure. Beneath the previews you’ll find links to four different-sized wallpapers of that image, hopefully one of them will suit yr screen res. 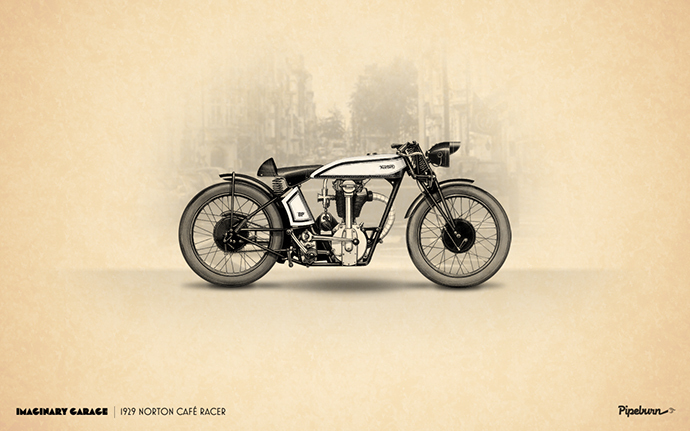 Then click to view the full-sized version, save the image to your desktop (right-click on a PC, control-click on a Mac) and Bob’s yr mother’s lover… you’ve got yourself the best-looking wallpaper in all of motorbikedom.